Three hundred and two shots fired. One hundred and twenty-eight confirmed kills (including two with a pencil). One hundred and four head shots. When you look at legendary American assassin John Wick's stats from his most recent mission, there's no denying the guy's a highly trained killing machine. But is the titular character of Entertainment One Films' critically acclaimed neo-noir action series pure fantasy? Not entirely. With the sequel to the popular Keanu Reeves film, John Wick: Chapter 2 (out now on Digital HD and arriving on Blu-ray, 4K UltraHD and DVD June 13), we decided to take a look back at a few historical hitmen who paved the way for people like Baba Yaga to do their dirty work. Look below to find eight contract killers who were once nearly as dangerous as John Wick. The basis for Moe Greene in Mario Puzo's novel The Godfather, Siegel is also rumoured to be the person responsible for starting the drug trade between Mexico and the U.S., and once tried to sell explosives to Italian dictator Benito Mussolini. Perhaps the most multi-dimensional killer on this list of well-known assassins, Chester Wheeler Campbell worked for both the Italian mafia and downtown Detroit drug lords throughout the 1970s and '80s, and had a weapons arsenal that contained everything from silenced pistols to high-powered rocket launchers. A fan of fine wine, fast cars and ladies galore, Campbell was able to evade justice for years by blackmailing high-ranking officers in the local police department, gaining information on his victims through high-tech surveillance equipment and sleuthing techniques that apparently rivalled even the CIA at the time. The estranged father of world-renowned actor Woody Harrelson, Charles Harrelson was a Texas hitman tried for killing two men in the '60s (Alan Berg and grain dealer Sam Degelia) before being implicated in the murder of U.S. District Judge John H. Wood Jr., who was shot dead outside his San Antonio, TX home in 1979. In September 1980, Harrelson surrendered to police after a six-hour standoff in which he admitted to the crime, as well as the assassination of U.S. President John F. Kennedy (a statement he later refuted; he blamed being high on cocaine at the time). In a strange case of art imitating life, his son Woody was cast to play a sociopathic killer in Oliver Stone's 1994 film Natural Born Killers. During filming, Stone — an American history buff — apparently asked the younger Harrelson to play the role "more like [his] father." A year later, Charles attempted to escape from prison with two other inmates using a makeshift rope. He was transferred to a Supermax prison where he died in 2007. One of two Irish-American hitmen to go under the "Mad Dog" moniker, Vincent Coll was a Prohibition-era gangster widely known as the originator of the drive-by shooting. A Donegal native who made a name for himself as a hitman-for-hire in The Bronx, Coll joined the Gophers street gang after being expelled from Catholic school at a young age, and rose up the ranks fast. A hothead known to kidnap other mobsters and hold them for ransom to make some extra money, Coll was killed by a spray of sub-machine gun bullets after having one of his calls traced to a drugstore telephone phone booth, where he was demanding $50,000 from a fellow criminal. Known in movies and the rest of popular culture as "The Iceman," Richard Kuklinski — a married father of two from New Jersey who got his start by killing neighbourhood cats for fun as a teen before being recruited by the Gambino crime family — is said to have killed between 100 to 200 men (many under contract by the mafia). Often described as a cold-blooded killer, he got his nickname due to the fact he once froze a victim in an attempt to confuse the time of death for future coroners. His taste in weapons was broad, with the killer claiming to have used guns, crossbows, ice picks, grenades, poison, chainsaws and, perhaps most grotesquely of all, hungry rats to murder his victims. Although only officially operating as a killer for a few short years, Marinko Magda left his mark on Hungary and Serbia, murdering 11 people (along with at least one child in each of his contracted killings, including the 16 and 10-year-old children of a Hungarian confectioner). He was apprehended by police in 1995 and was last reported to be behind bars until at least 2020. Often described as Russia's best-known contract killer, Alexander Solonik — a former policeman and soldier known for his accuracy and ability to shoot steadily with guns in both hands — confessed to killing several leaders from the Russian underworld. His body was found near Athens in 1997 (he was rumoured to be starting a criminal organization with 50 other men in the area), but some debate the validity of his death, believing that he lives on under an assumed identity. Described by others as the archetype for all future mafia members, Giuseppe Greco was a ruthless and high-ranking member of the Sicilian mob, rumoured to be personally responsible for at least 58 murders in the area (although some experts claim that number could realistically be in the hundreds). A fan of AK-47s, Greco wasn't afraid to get his hands dirty, even after acquiring a death squad to help carry out heavy lifting later in his career. On July 29, 1983, he planted and detonated a car bomb that killed magistrate Rocco Chinnici, as well as three other people. 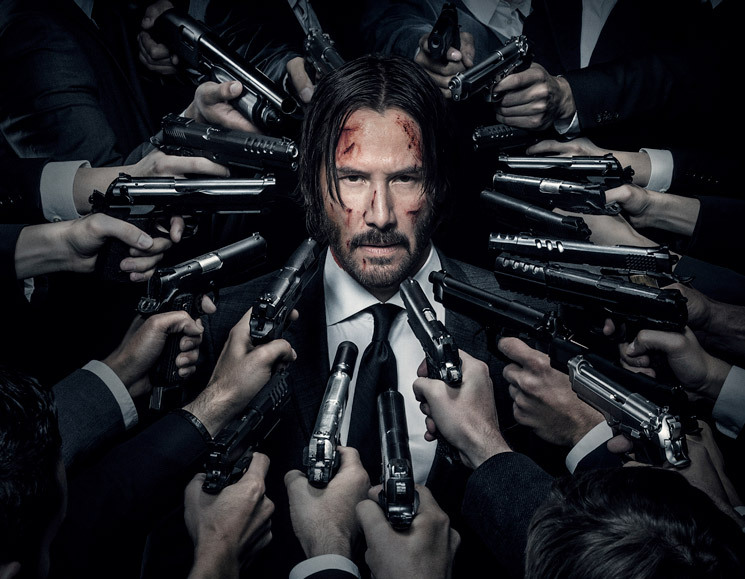 John Wick: Chapter 2 is out now on Digital HD and arrives on Blu-ray, 4K UltraHD and DVD June 13.